For Robbie Birdwell, fitness is more than a passion—it’s a lifestyle. He’s personally experienced the power of physical conditioning to provide mental, spiritual, and bodily healing. 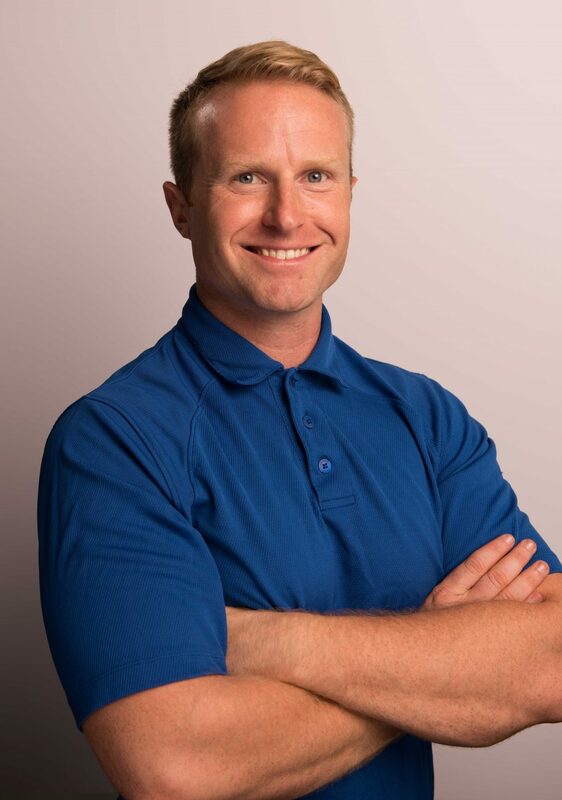 Having a diverse background in health and fitness, Robbie specializes in injury prevention, rehabilitation, and functional training. His expertise in correcting mobility issues and faulty movement patterns has helped clients of all types, from injury-plagued couch potatoes to Division 1 college athletes. As a certified athletic trainer (through the National Board of Certification for Athletic Training), Robbie earned his bachelor’s degree in athletic training and sports medicine from Baylor University. He went on to receive a master’s degree in kinesiology from the University of North Texas. He worked with several notable athletes throughout his collegiate career including track stars, Jeremy Wariner, Darold Williamson, and Stephen White as well as then up-and-coming NFL players, Robert Griffin III (RG3), Jason Smith, Lance Dunbar, and Zachary Orr. Robbie also knows firsthand what it takes to prepare and compete. He played professional arena football in the Indoor Football League (IFL) for two years and competed as a bodybuilder within the physique division for the Better Bodies Championship. Robbie’s extensive education and experience have prepared him to offer quality service and care. His goal-oriented approach and customized, research-based workout programs empower clients to be accountable, stay motivated, and have fun! When Robbie is not at the gym, he enjoys riding his motorcycle, playing the guitar, and watching football (no surprise!). Mobility Then Stability:. Reaching your training goals is all about being consistent. First, we must correct your movement. It is important to move properly before putting a ton of stress on your body, to prevent injuries during our training program. Working out, eating healthy, and losing weight does not have to be a chore. It should be an energizing, enjoyable, and empowering experience that you look forward to every day. Together, we will overcome your obstacles, push your boundaries and have a ton of fun, making your fitness dreams a reality. Let’s do this! Over the past 90 days, I have seen a huge transformation and I’m happy to say that, at the age of 38, I’m in the best shape of my life. The results are mine and the hard work is definitely mine but the smart, challenging training was all Robbie’s doing.